Price of Avermedia A310 on Amazon is approx. Rs.10,750 it is cheaper compared to superior competitors like Blue Yeti which is considered to be one of the best mic for YouTube. After going through few more condenser mic I found A310 to be somewhere in between. It is a good mic to start with YouTube and Twitch if you are serious about blending your video with the best-recorded sound. With right placement, a limited adjustment is needed to set up the mic to get perfect audio for online streaming. Finding the perfect Mic to breathe life in videos can be hard-hitting if you are not looking in the right direction. There are loads of models from awfully portable to a full-fledged recording Mic dispersed online, from which picking the right one requires brainwork. To save your time we bring this Avermedia AM310 Mic Review. It is a dedicated streaming recording device preferably designed for Youtube and Twitch, but can also be used for Podcast, voice-recording, interviews, songs, etc. 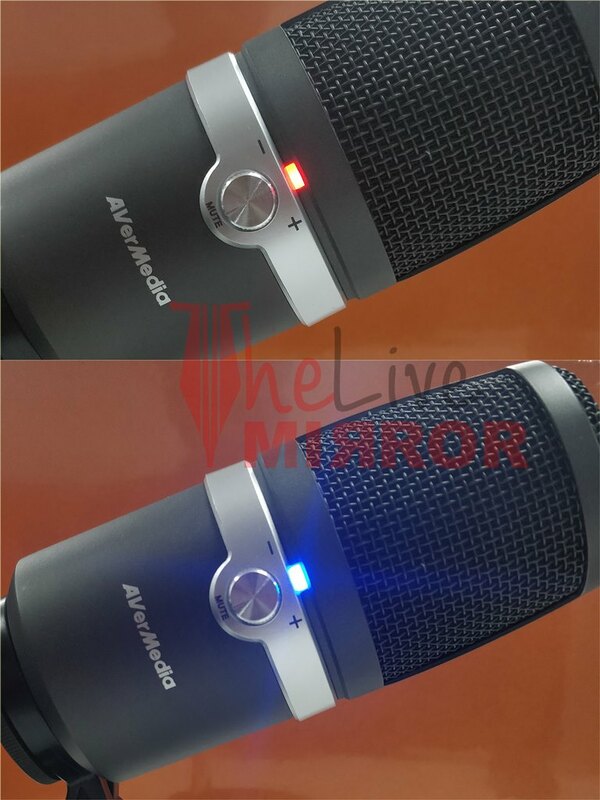 Avermedia AM310 is a condenser mic that features Cardioid polar pattern. To simplify the tech behind, condenser mic’s are made for recording studios to deliver rich audio quality with least efforts. Step by step we will look into AM310 design, its usability, audio output, pricing, etc. and figure how well this model can be considered to a best one for Youtube and Twitch videos. Avermedia AM310 comes with a sturdy stand, an assembly is not complicated, a heavy base supporting the mic through a stand that pushes it a bit above the desk level is comfortable enough to shoot audio in the upper head. AM310 features Cardioid polar pattern, it simple word it least considers sound in the surrounding, instead it focuses a lot on what is coming straight into its driver from the front side. So when you are speaking place yourself to be at an adequate distance from the Mic, you don’t have to push your face to close, instead be comfortable and loud. The best audio can be recorded in a place with no disturbing sound like a fan noise. A completely silent environment is a must to drive the best from Avermedia AM310, it captures background noise in an open room with ac or fan. The buzzing sound is loudly visible on low audio recording, and quality is a lot better with a high pitch voice. Still, to get the best it is necessary to sit in a quiet place, even though Avermeida AM310 utilizes the best tech, the buzzing background sound is a common issue with desktop mics. AM310 is packed into sturdy chassis with minimum adjustment, I like the build quality. There is a knob on one side also a clickable button. Once pressed the blue led turns to red and the mic goes on mute. The knob helps to adjust the volume if you are listening on headphone. A 3.5mm audio jack sits on the opposite with a key to select between PC and Monitor. This works for headphone only, if you select PC you can start recording through an audio recorder software. On Monitor, you can listen to your voice on the headphone for basic adjustment and mic check. It is a handy feature to instantly test whatever you record from AM310. The same 3.5 audio port can be used to connect speakers to use the mic for meetings. I got an audio sample to prove the quality of Avermdia AM310, I am not going to go in depth various adjustments, instead, you can listen to the audios recorded in regular scenarios like recording in the office conference room. In the case of regular background noise, small settings can improve the quality of recorded audio. To reduce some background noise search Sound in Windows 10 search box, click on a recording and right click on Microphone > Properties > Levels > 0. This is not going to help much, but it will reduce the Mic sensitivity towards incoming audio. Avermedia A310 is a cardioid microphone designed for quieter room, places where it can shoot directly towards your voice to capture the top quality audio. Avermedia AM310 is a plug and play USB mic. No driver setup or software installation is required. Just connect and start using it, I recommend using a professional audio recording tool like Audacity or Wavepad or any other for additional features and audio optimization. 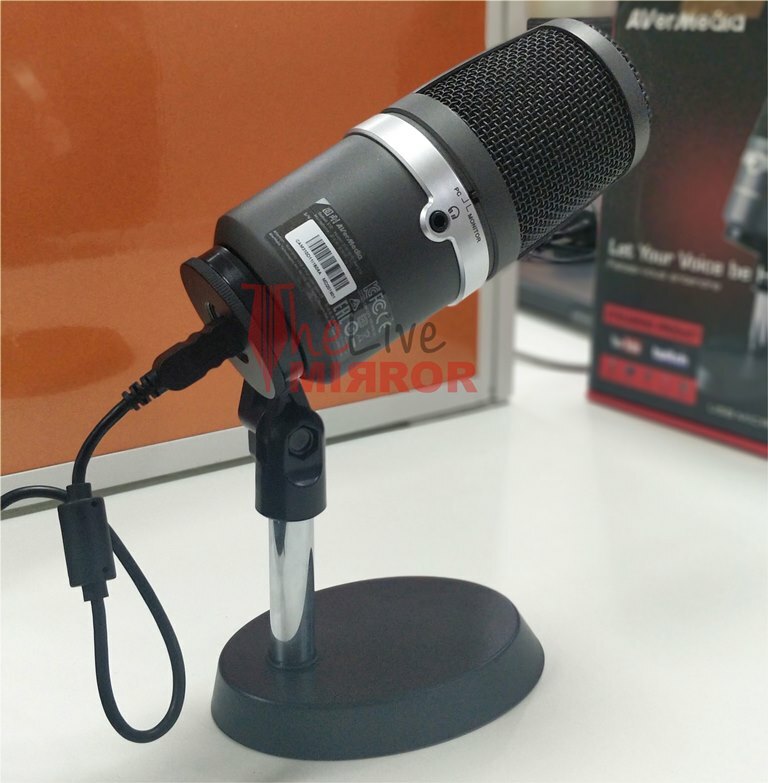 Avermedia AM310 is good to go mic for those who are looking for a reliable recording solution for broadcasting on Youtube or Twitch. Other than streaming, Avermdia AM310 is also good for singers and podcasters. Particularly semi-professional who are a pro with their dialogues and requires inexpensive setup, the mic alone is sufficient to give you a start. Price of Avermedia A310 on Amazon is approx. 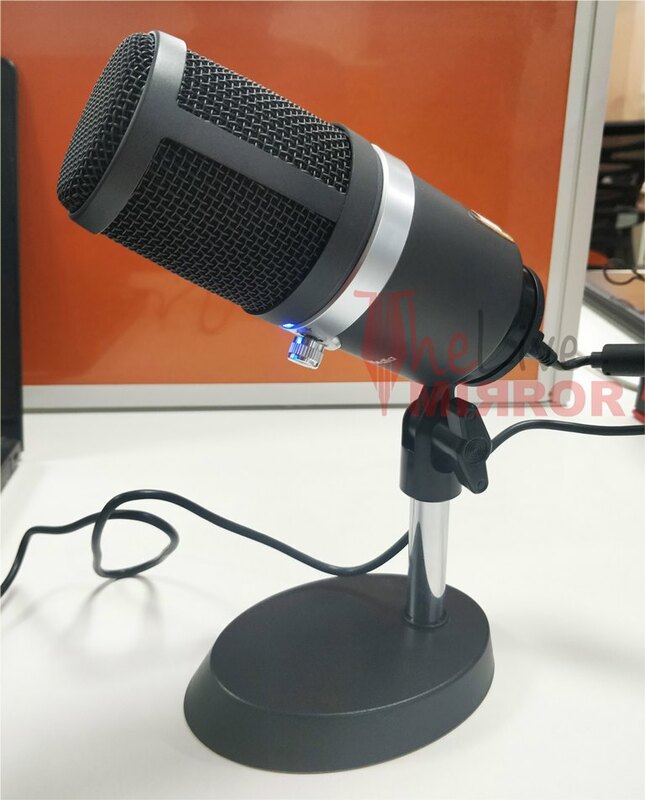 Rs.10,750 it is cheaper compared to superior competitors like Blue Yeti which is considered to be one of the best mic for YouTube. After going through few more condenser mic I found A310 to be somewhere in between. It is a good mic to start with YouTube and Twitch if you are serious about blending your video with the best-recorded sound. 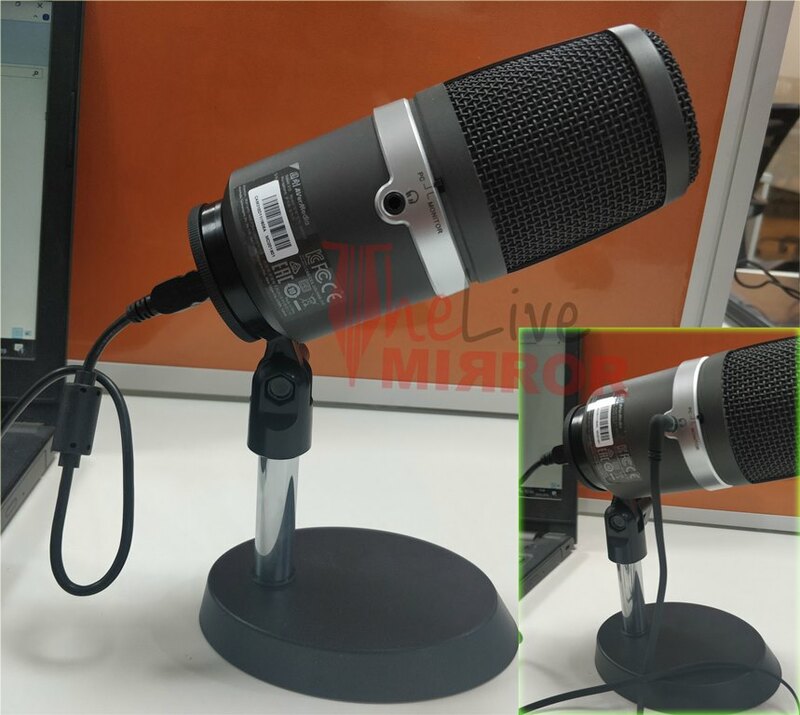 With right placement, a limited adjustment is needed to set up the mic to get perfect audio for online streaming. A common issue of keystrokes or pc fan noises often complained while using regular mic simply fades away if you have Avermedia A310.